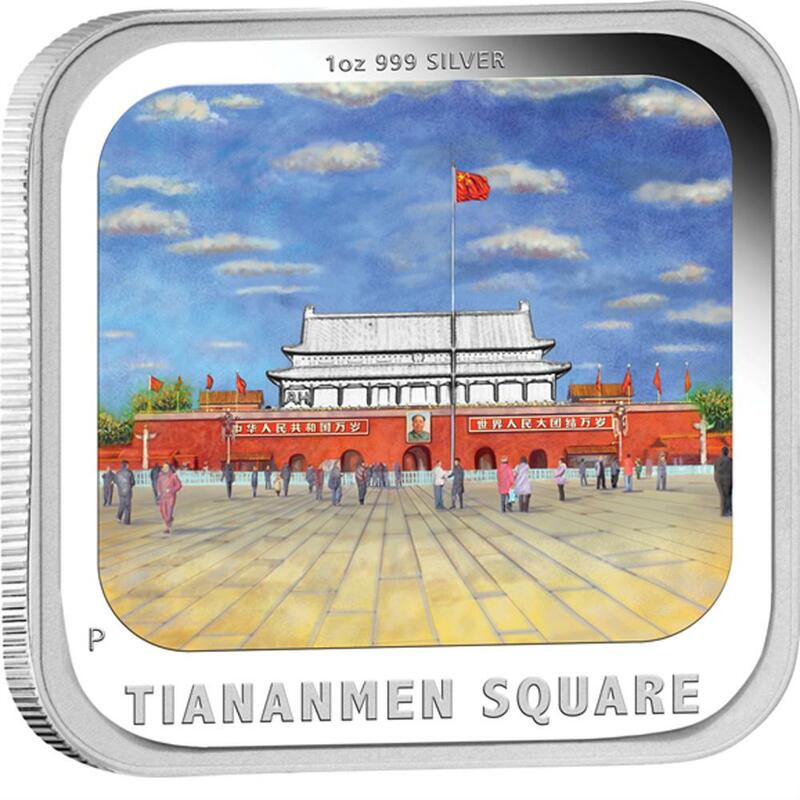 Each coin is struck in a rare square format by The Perth Mint from 1oz of 99.9% pure silver in proof quality. 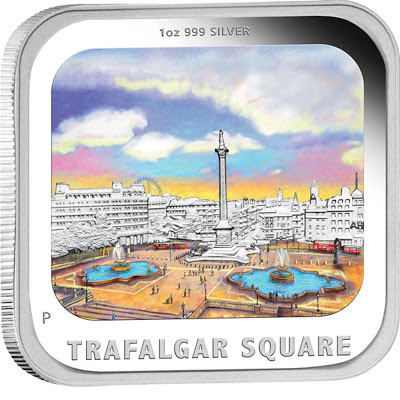 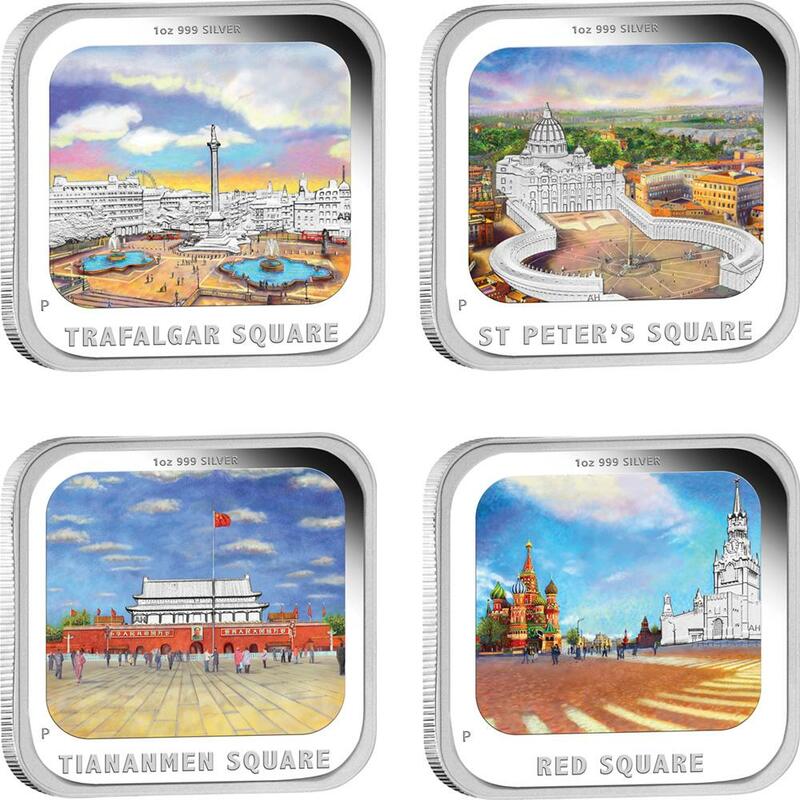 This stunning set comprises four coins depicting the beautiful architecture of some of the world’s most famous city squares: St Peter’s Square (Vatican City), Trafalgar Square (London, England), Red Square (Moscow, Russia) and Tiananmen Square (Beijing, China). 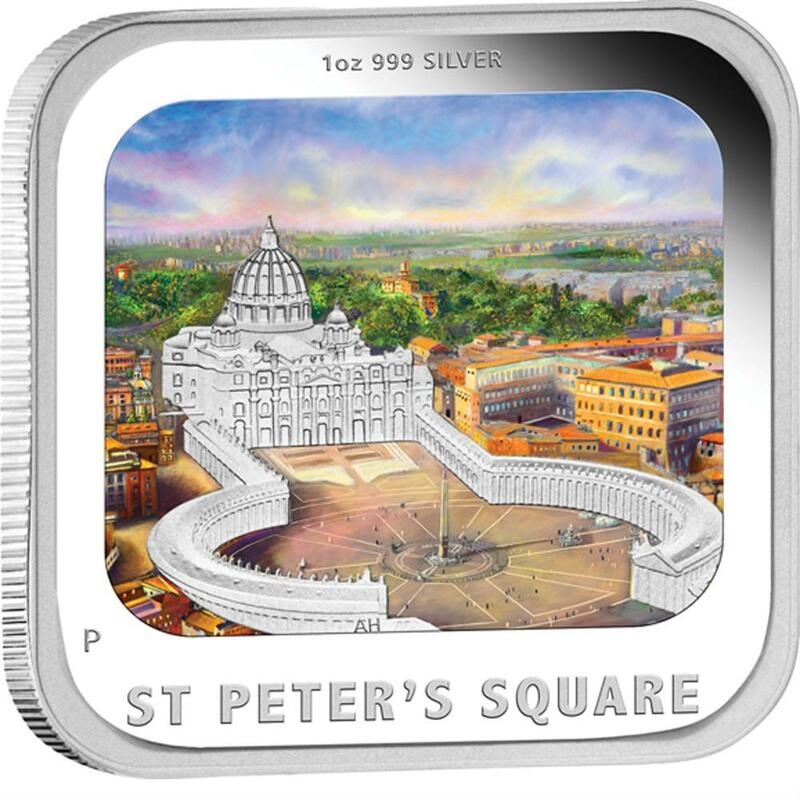 Each coin’s reverse portrays an aerial view of the individual square in colour, with the name of the square inscribed in bold letters. 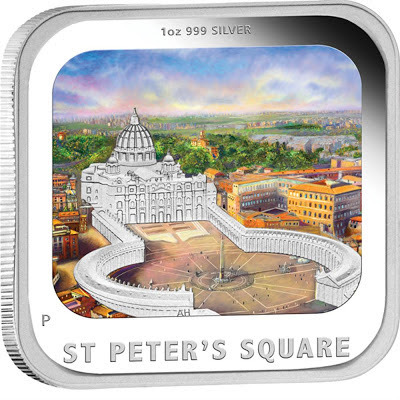 The coin’s weight and purity and The Perth Mint’s ‘P’ mintmark are also included in the design. 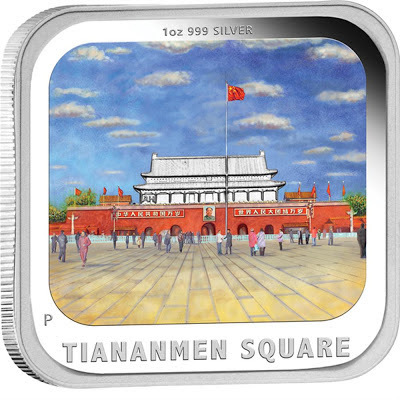 Issued as Tuvalu legal tender, each coin’s obverse depicts the Ian Rank-Broadley effigy of Her Majesty Queen Elizabeth II, the 2013 year-date and the monetary denomination. 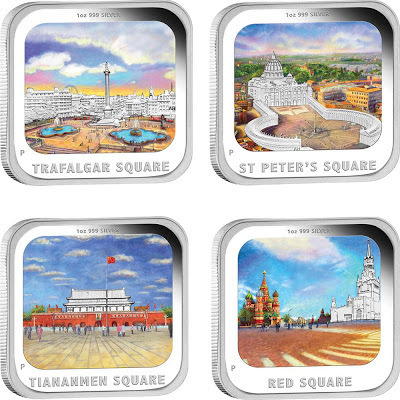 The Perth Mint will release no more than 1,000 of these World Famous Squares 2013 1oz Silver Proof Four-Coin Sets. 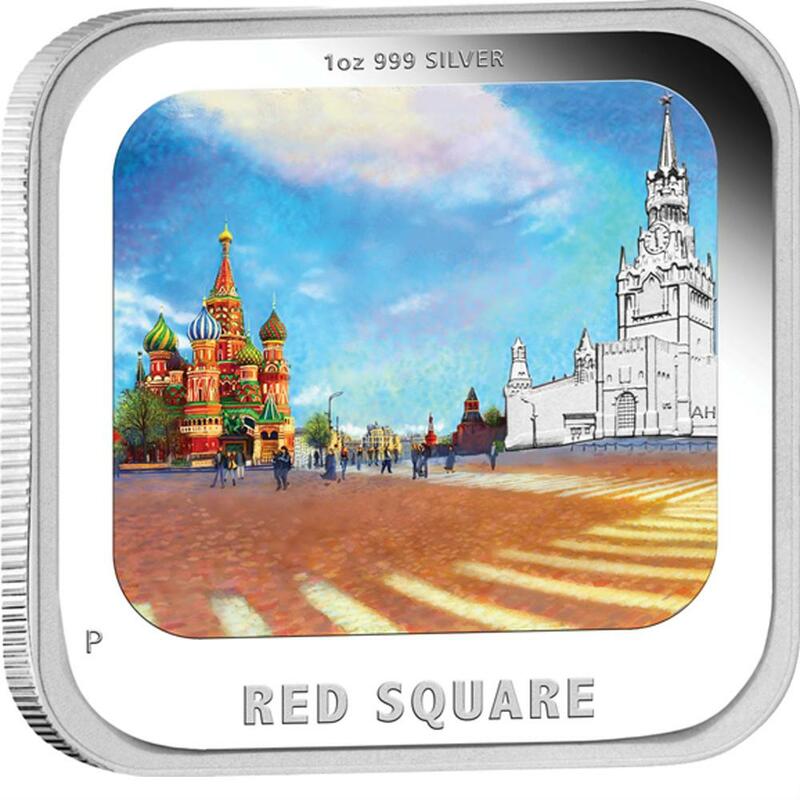 The four-coin set is housed in an exciting contemporary display case, allowing a clear view of the reverse and obverse of each coin. 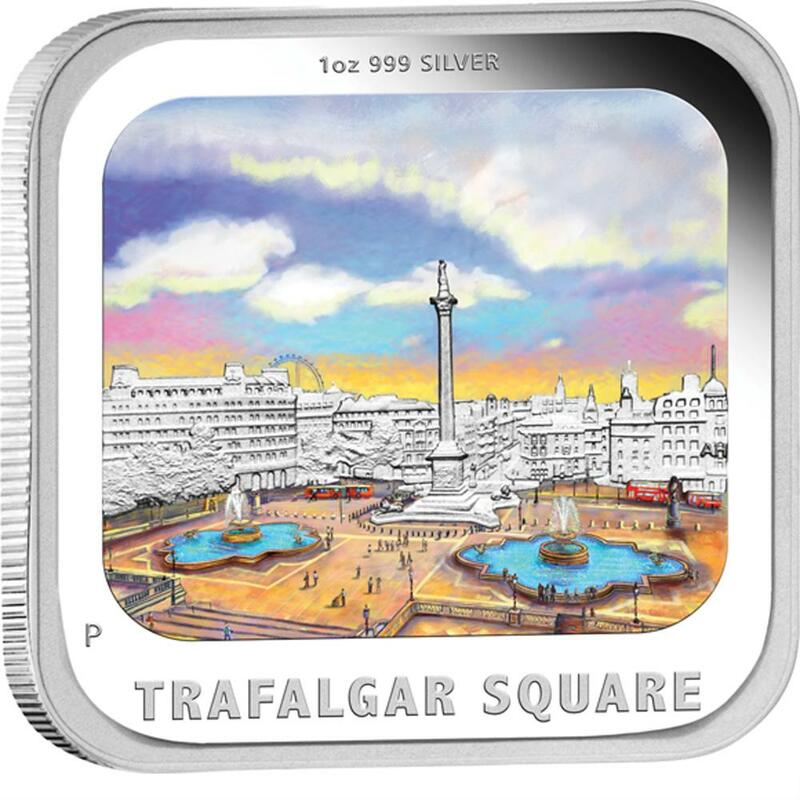 Boxed in a shipper, this set is accompanied by a numbered Certificate of Authenticity validating the sets mintage.